Exmouth is a town on the tip of the North West Cape in Western Australia. Here are some ideas for day two: enjoy the sand and surf at Turquoise Bay and then explore the gorgeous colors at Ningaloo Reef. Plan my Exmouth trip by asking Inpirock to come up with tips and suggestions. Rome, Italy to Exmouth is an approximately 26-hour flight. You can also do a combination of train and flight. Due to the time zone difference, you'll lose 7 hours traveling from Rome to Exmouth. Traveling from Rome in December, things will get much warmer in Exmouth: highs are around 43°C and lows about 24°C. Finish your sightseeing early on the 23rd (Mon) so you can travel to Perth. On the 24th (Tue), look for all kinds of wild species at Lake Claremont, then let the kids burn off some steam at Zanthorrea Nursery, and then look for all kinds of wild species at Caversham Wildlife Park. 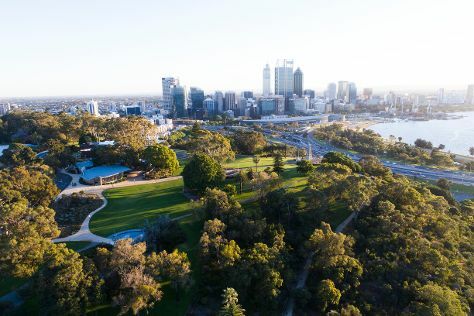 Get ready for a full day of sightseeing on the 25th (Wed): take in nature's colorful creations at Kings Park & Botanic Garden, then trek along Bold Park, and then look for all kinds of wild species at Matilda Bay Reserve. To find other places to visit, reviews, and tourist information, read Perth trip planner . Traveling by flight from Exmouth to Perth takes 5.5 hours. Alternatively, you can do a combination of car and flight; or drive. Traveling from Exmouth in December, things will get a bit cooler in Perth: highs are around 35°C and lows about 17°C. Finish up your sightseeing early on the 25th (Wed) so you can travel to Sydney. Take a break from the city and head to Bondi Beach and Tambourine Bay Reserve and Warraroon Reserve Walk. Get some cultural insight at The Rocks and Sydney Opera House. The adventure continues: wander the streets of Darling Harbour, take in nature's colorful creations at Royal Botanic Garden Sydney, take in the views from Sydney Harbour Bridge, and kick back and relax at Manly Beach. 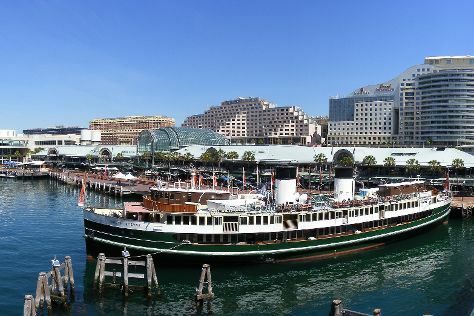 To find photos, reviews, where to stay, and other tourist information, use the Sydney trip planner . Traveling by flight from Perth to Sydney takes 7.5 hours. Alternatively, you can drive; or do a combination of train and bus. Traveling from Perth to Sydney, you'll lose 2 hours due to the time zone difference. When traveling from Perth in December, plan for slightly colder days and somewhat warmer nights in Sydney: temperatures range from 32°C by day to 21°C at night. Finish up your sightseeing early on the 28th (Sat) so you can travel back home.